A J Recycling provides services for industrial and commercial customers with its large range of waste collection and recycling schemes. In so many businesses we understand that space is restricted, so it is vital that the correct collection scheme meets your requirements. 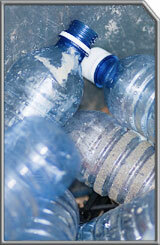 A J Recycling has a large range of containers available and we are sure we can suit your needs for your collection. We are able to offer our customers a full management of their waste streams, which will included prompt collection, weight management and documentation which complies with legislation and has full traceability. We pride ourselves on a personal but professional service, and are always here to help.